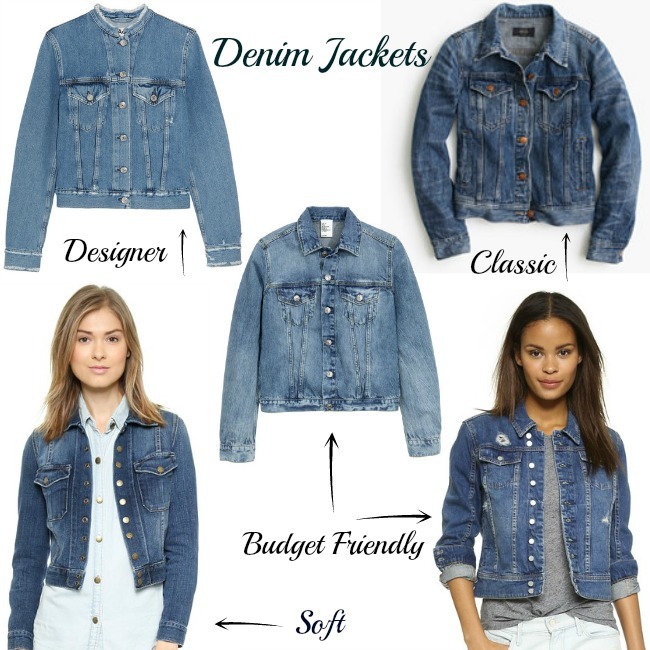 If there is one jacket you should add to your wardrobe this spring and summer, it's a denim jacket. They add the perfect amount of warmth on a cooler spring day, or take the chill off on a breezy summer night. Plus, you can pair them with anything. Not only do I love how they look with distressed jeans for that ultra cool Canadian tuxedo, but they are ideal for layering over floral summer dresses. My denim jacket is from Forever 21 (last worn here) and I love how it looks like designer denim, but only costs $30. If I wasn't on a budget, I be adding this Acne Studios denim jacket to my wardrobe. I'm in love with the collarless style, and fringe details. You can never go wrong with the classic J. Crew denim jacket, and if you're looking for one that's super soft, Current Elliott always delivers. Do you have a favorite denim jacket? Happy Monday, I hope everyone who celebrates had a great Easter. We were up at the lake, at my sister's house, and it ended up being a beautiful day. The twins had so much fun on their Easter egg hunt, and playing with their cousins. Not only did we have a huge Easter brunch, but my sister prepared a big dinner, and I can't even tell you how many sweets I popped into my mouth! But holidays are for indulging, right? Now that Easter has passed, I am officially in spring mode. I started packing up my winter clothes, and unpacking my sandals and sundresses. Lets just hope the weather cooperates with my wardrobe! This white crochet skirt is one of my new spring purchases, and I'm in love with the fit and flare silhouette. The skirt has this matching top, which I also got, and love that I can wear it as a set, or as separates. Because the weather isn't warm enough for me to go sleeveless just yet, I paired this skirt with a stripped button down. A perfect look for meetings, or lunch with the girls. Wishing everyone a great week, and thank you for stopping by! I think I have found my new favorite blouse. There is nothing that I love more than a white shirt and jeans, and this lace up blouse takes the look to another level. It's classic, yet the lace front makes it fun, and I love the slightly oversized fit. I wore this outfit last weekend to my niece's fifth birthday party. 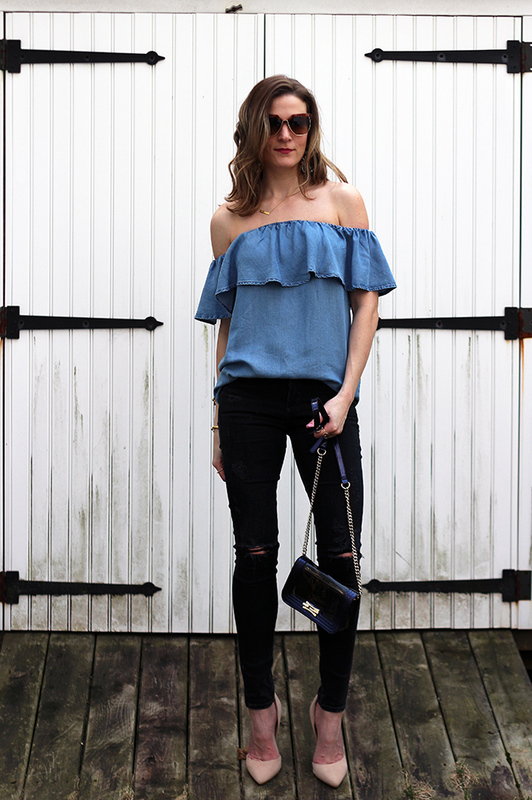 Since it was a casual party at the lake, I wanted a look that was comfortable, yet put together (after all, it was a party). The white blouse and jeans combo made me feel put together, and I finished my look with my Stan Smith sneakers for the laid back aspect. It was the perfect look for hanging with family and friends while chasing kids around all day. 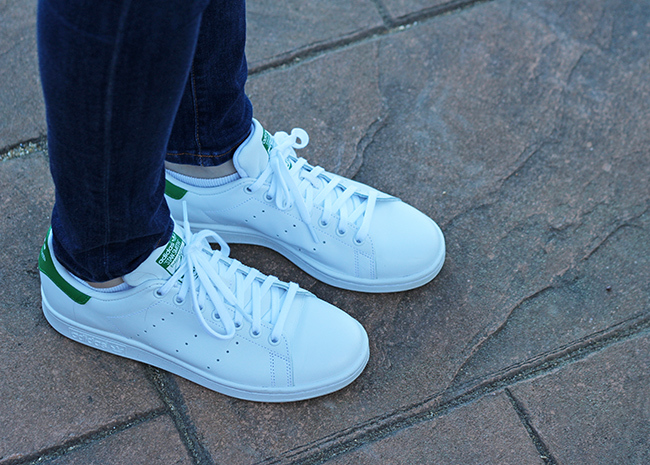 In case you missed the post on my top picks for white sneakers, you can see it here. The feature blogger of the week is Marina from Marinasummers.com. How gorgeous is her geo-lace peplum dress? Make sure to stop by and check out this perfect spring look! 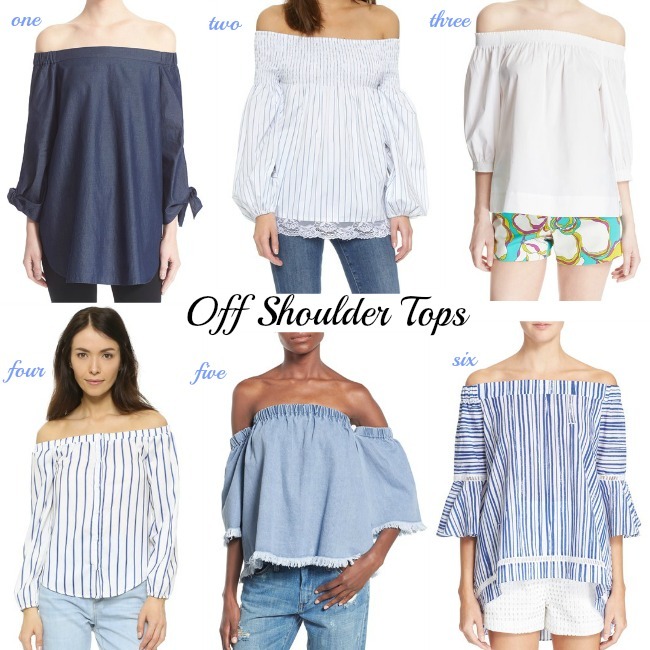 It's no secret that I have an obsession with all things off the shoulder. Between both tops and dresses, my collection keeps growing, so I couldn't be happier that baring one's shoulders is still very on trend this season. Lately I've been gravitating towards shades of white and blue (I guess Serenity has gotten the best of me) and love how these hues pair with white jeans or light denim. I recently added this blue top and this stripe top to my wardrobe, but I have a feeling it won't end there. I have my eye on this MLM Label striped blouse (how pretty is the lace? ), and you can never go wrong with the classic Tibi off the shoulder tunic. I'm especially in love with this dark denim color. 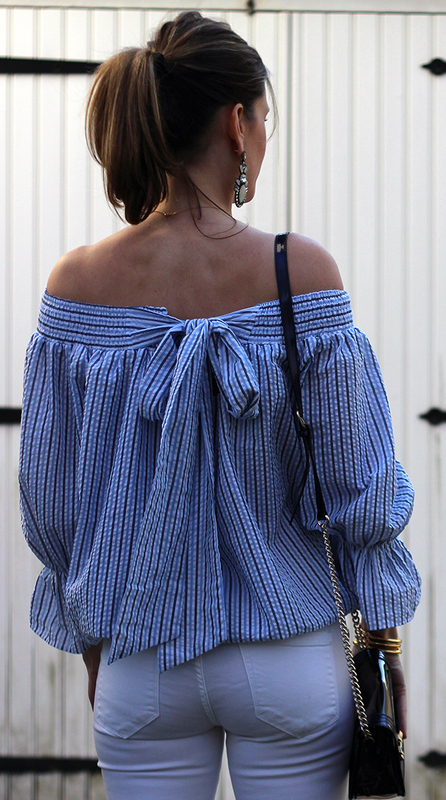 Tell me, are you loving the off the shoulder trend? Thank you for reading and I wish everyone a great day! Happy Monday! 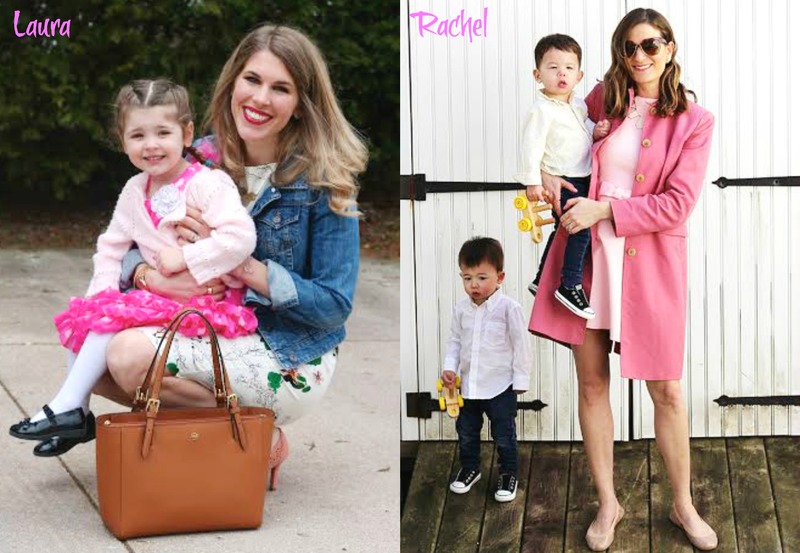 I'm excited for this post because I am teaming up with some amazing blogger mommies to share our mommy and me Easter looks. 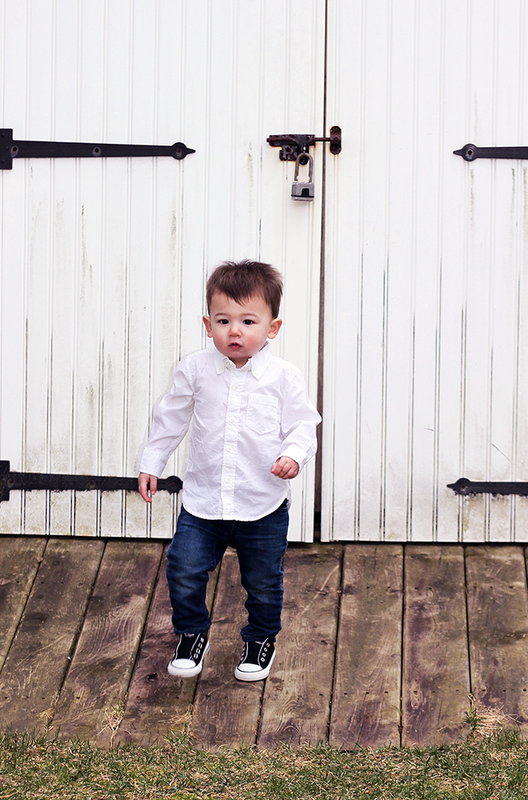 Make sure to check out their Easter looks and adorable kids! 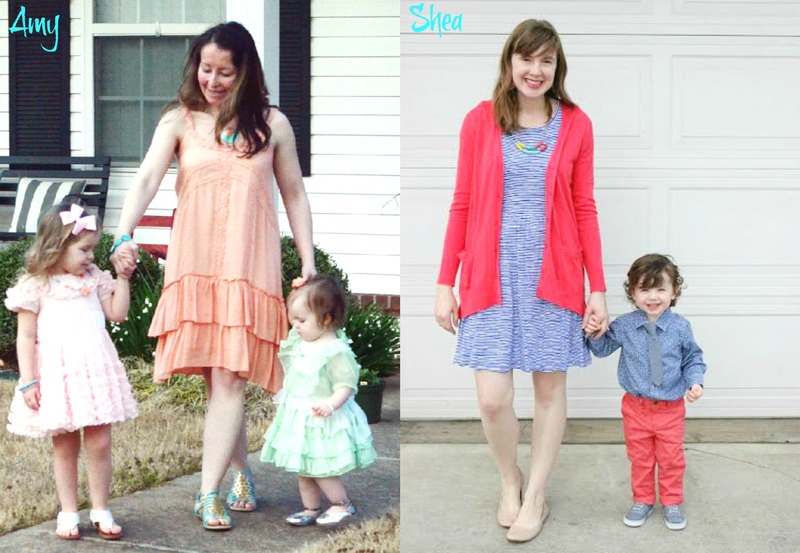 When I think of dressing for Easter, I think of feminine dresses and pastel colors. Perhaps it's because I remember loving the holiday as a kid, and I would always want to wear my prettiest dress when I attended church with my great, great aunt, Maxine. Everyday I got to spend time with her was so special, but Easter mornings with her were one of my favorite times. Because of this memory, I still love to wear feminine dresses for Easter, and this dress from Chicwish couldn't be more perfect for the occasion. I love how the light pink color and bow detail gives it an ultra feminine feel. 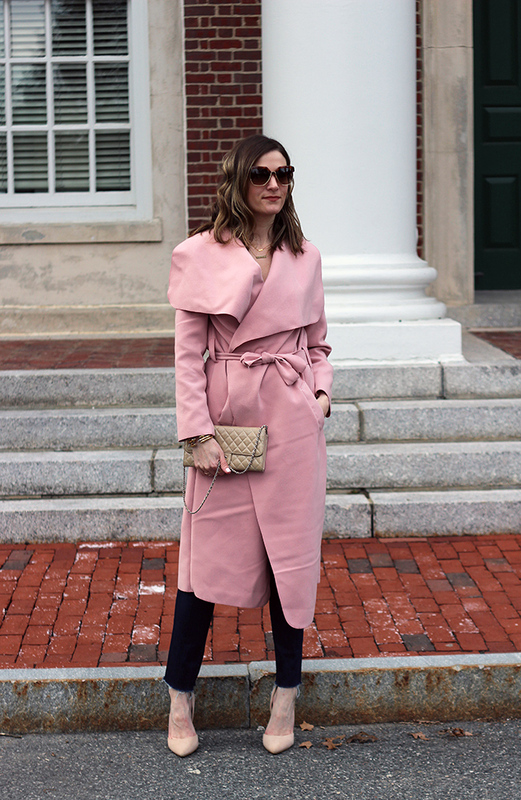 Since this dress is sleeveless (and I'm always cold), I added a pink coat and love the contrast of the two shades together. 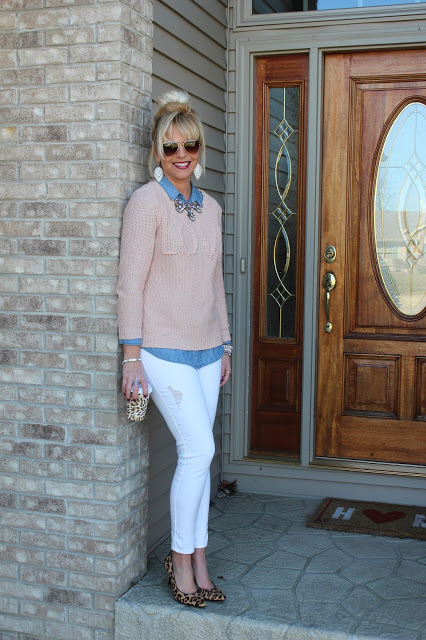 I finished my look with blush ballet flats. Since this dress is on the shorter side, I thought a flat was more appropriate, plus I know I will be chasing around the twins all day! 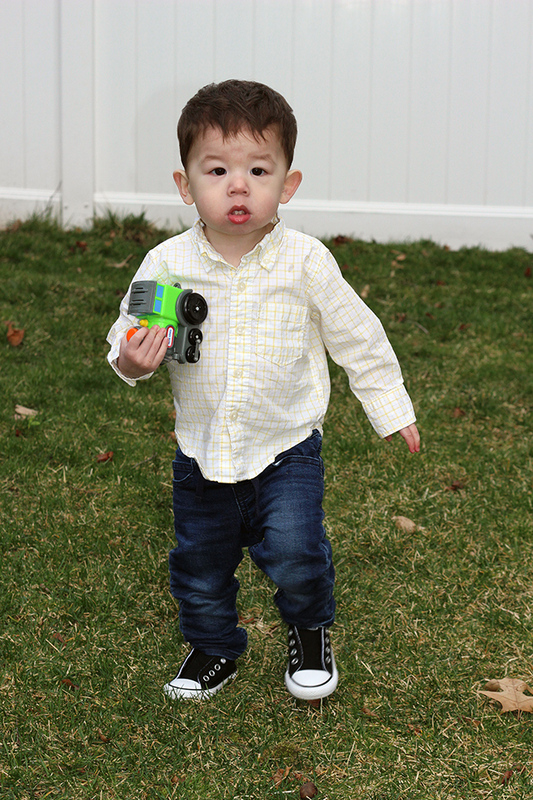 Since the holidays in our family are on the casual side, I dressed the twins in pastel colored dress shirts, but finished their look with jeans and sneakers. I know the boys will be running around all day, so I want them to be comfortable. This is the first year that they are really celebrating Easter, and I'm so excited for their first Easter Egg hunt! BROOKE of Pumps and Pushups: "Our church is very casual, so we don’t typically get too dressed up for Easter. But we coordinated our stripes and tried to get a picture where all of us were looking! We were almost successful, oh boys! 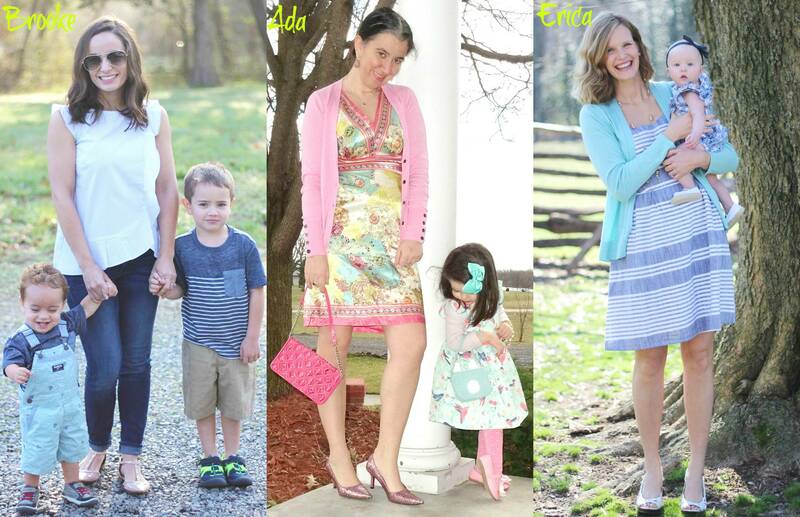 :) "
RACHAEL of Threads for Thomas: "When I think of dressing for Easter, I think of girlie dresses and pastel colors. Perhaps because I remember loving the holiday as a kid, and I would always want to wear my prettiest dress for when I attended church with my great, great aunt (everyday I got to spend time with her was so special). Today, I still love to dress very feminine on the holiday, and this pink bow dress fits the occasion perfectly. Since we tend to keep holidays casual in our family, I dressed the boys in pastel colored dress shirts, but finished their look with jeans and sneakers. I want them to be comfortable as I know they'll be running around all day, and can not wait to send them on their first Easter egg hunt!" These Converse sneakers are my new favorite. 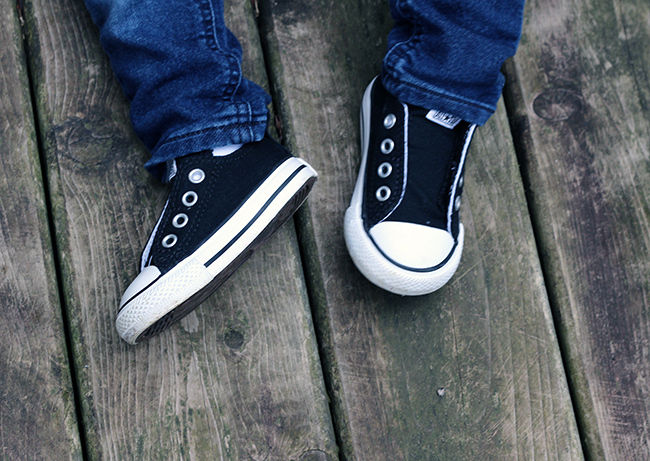 Since they are slide ons, not only are they easy to slip on, but the velcro closure is hidden so the boys aren't tempted to play with them! Ha, I had to share this photo! Just some #reallife behind the scenes. 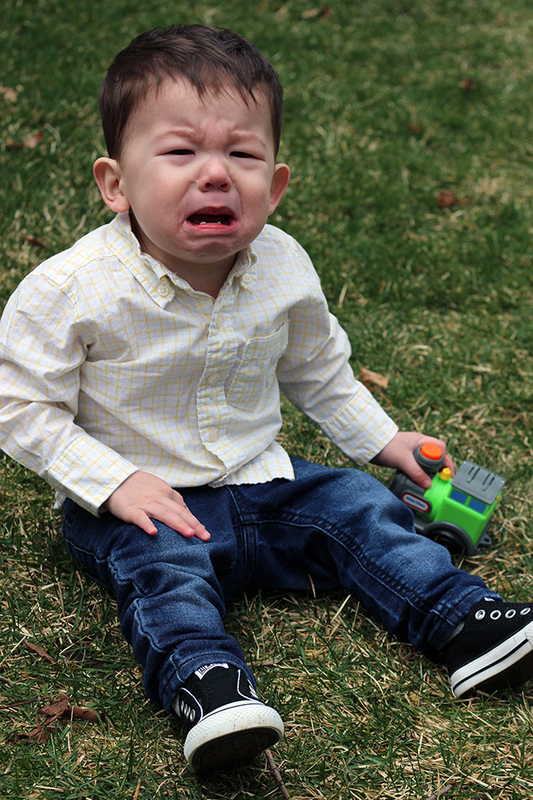 Tyler got upset when his hands touched the grass! Thank you to Chicwish for partnering in this post. All thoughts an opinions are my own. 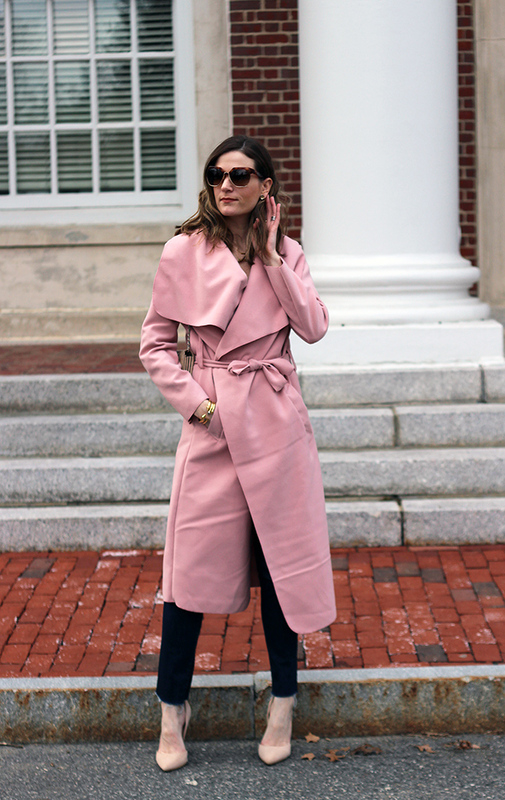 The thing that I love most about a great coat, is that you can throw it on over anything, including a pair of sweatpants, and look put together. Take my typical 'momiform' of jeans and a white tank, a perfect pairing for chasing around two toddlers all day. 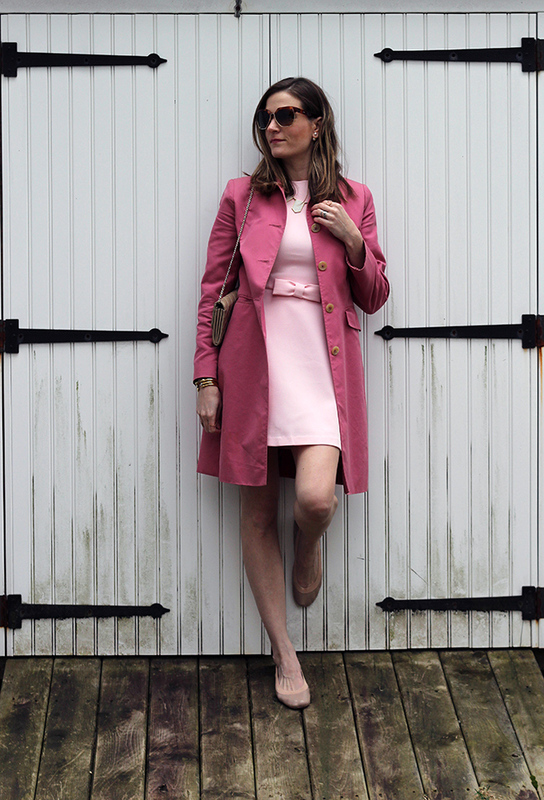 I added this pink wrap coat and a pair of heels, and instantly had a look that's worthy for drinks with the girls. Plus how gorgeous is this light pink color? 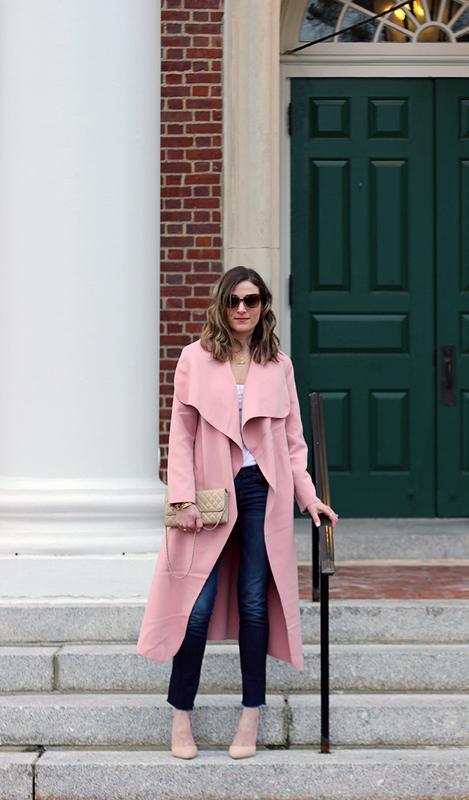 I'd say it's the perfect spring coat! Wishing everyone a great weekend, and thank you for stopping by. Don't forget to link up below! 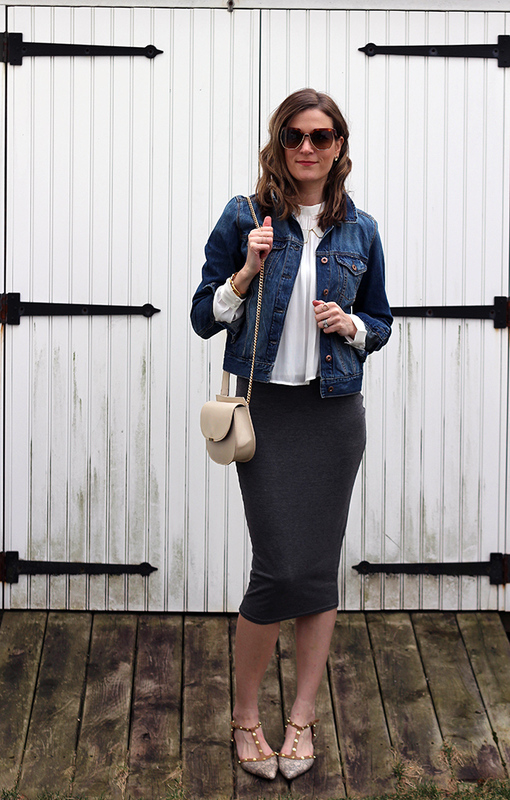 Check out our feature blogger of the week, Andrea from Living on Cloud Nine. Loving her shades of pink paired with the white jeans.